The Royal College of Veterinary Surgeons (RCVS) has now launched the Edward Jenner Veterinary Leadership Programme to encourage everyday leadership skills within the veterinary professions. 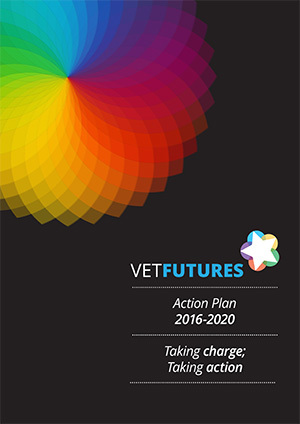 This programme is part of the wider RCVS Leadership Initiative, launched in April at the British Small Animal Veterinary Association (BSAVA) Congress in Birmingham, and inspired by the Vet Futures project. The overall aim is to integrate development of leadership skills into veterinary professionals’ continuing education. The Edward Jenner Veterinary Leadership Programme runs as a MOOC (massive open online course) and is hosted on the well-established FutureLearn digital education platform. The programme is now accepting registrations for a new cohort of learners to begin the first of three courses on 26 November. A ‘sign-up’ email has been sent out to all veterinary surgeons and veterinary nurses ahead of the course starting. This course is the result of a collaboration between the RCVS and the NHS Leadership Academy. 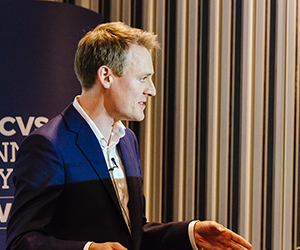 By adopting a range of conventional and innovative teaching techniques, the course aims to emphasise the importance of leadership by helping to foster the range of skills that underpin it. This includes building confidence around the everyday aspects of leadership, such as the active application of decision-making, growing resilience, implementing an inclusive culture and encouraging reflective learning approaches. One of the course’s most popular aspects is its audio drama, which follows the lives of veterinary professionals living in the fictional county of Glenvern. The stories that depict the characters’ working lives seek to reveal the diverse leadership challenges that veterinary professionals face on a day-to-day basis. This in turn prompts the listener to reflect, consider how they would respond, and learn from their own experiences as well as those of other people. The programme comprises two free-to-access courses and an optional paid for assessment. The first course was piloted this summer, with over 550 veterinary surgeons, veterinary nurses, students and practice managers helping to develop and refine the material, whilst a group of learners are currently piloting the second course in the series. Given the overwhelmingly positive feedback received on the first course (as shown by the feedback quotes shown throughout this page) the RCVS have now opened the programme to all veterinary professionals. The first course in the programme will begin on 26 November and the second course will open in January, once the second stage of piloting is complete. 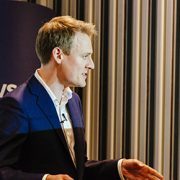 Commenting on the roll out of the leadership programme, RCVS Director of Leadership and Innovation, Anthony Roberts (pictured above), said: “I am very pleased to be able to announce the launch of this programme. I would urge anyone with an interest in developing their leadership skills, as well as those looking to refine their longstanding leadership skills, to take part.